NetworkMiner can reassemble files transferred over protocols such as HTTP, FTP, TFTP, SMB, SMB2, SMTP, POP3 and IMAP simply by reading a PCAP file. NetworkMiner stores the extracted files in a directory called “AssembledFiles” inside of the NetworkMiner directory. 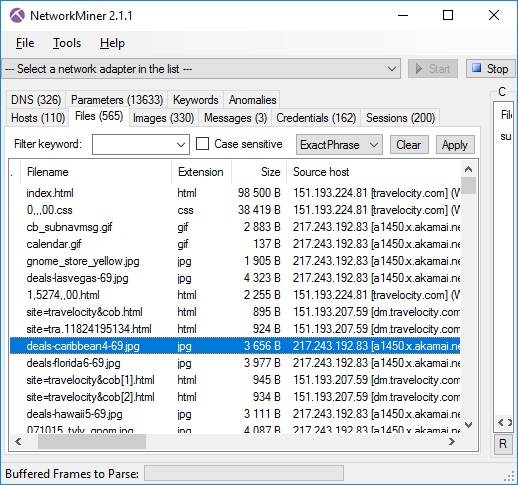 NetworkMiner is a portable tool that is delivered as a zip file. The tool doesn’t require any installation, you simply just extract the zip file to your PC. We don’t provide any official guidance regarding where to place NetworkMiner, users are free to place it wherever they find it most fitting. Some put the tool on the Desktop or in “My Documents” while others prefer to put it in “C:\Program Files”. However, please note that normal users usually don’t have write permissions to sub-directories of %programfiles%, which will prevent NetworkMiner from performing file reassembly. 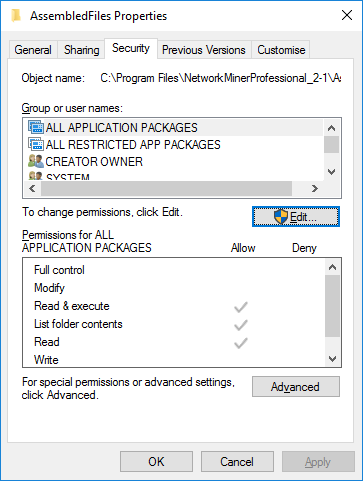 Once you have set up the appropriate write permissions you should be able to start NeworkMiner and open a PCAP file in order to have the tool automatically extract files from the captured network traffic.